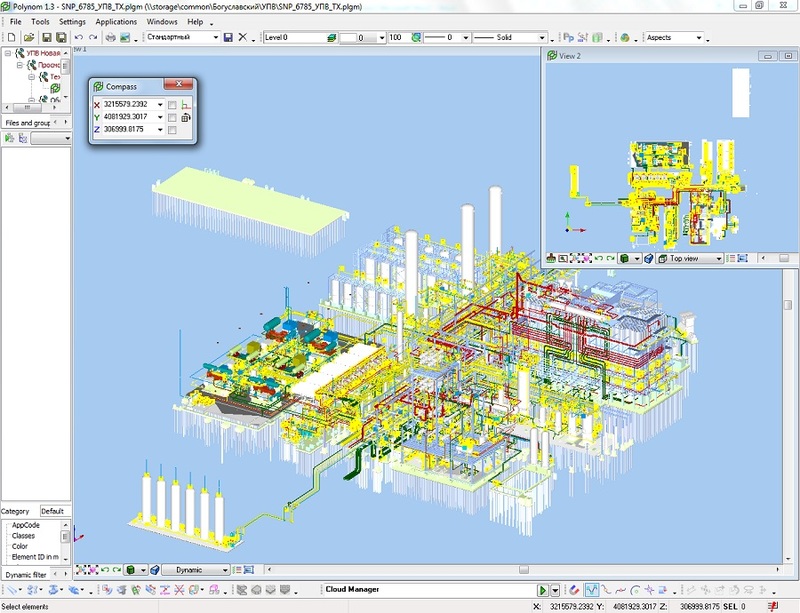 POLYNOM is a BIM tool for understanding the complexity of processing facilities. 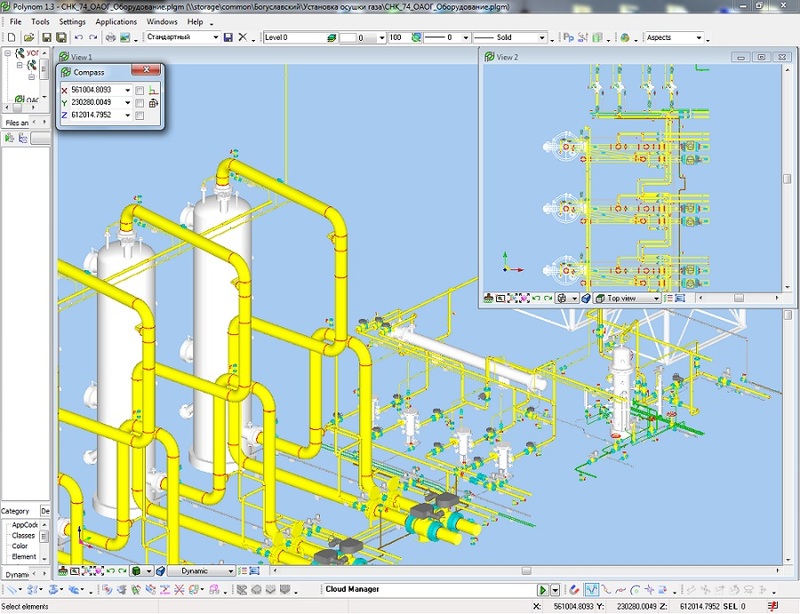 Our software creates and updates the information in models at all stages of project life cycles: designing, constructing, operating, and reconstructing plants in 3D. While designing plants. POLYNOM gathers 3D models (including those derived from 2D documentation), detects and eliminates collisions, and employs 4D-6D technologies during later stages of the project. While building plants. POLYNOM promptly updates models based on changes made in the field during the construction phase. While operating plants. POLYNOM uses the information stored in its EDMS (engineering data management system) to help you operate your plants, and to effectively reconstruct and modernize them. NEOLANT holds copyright on POLYNOM. POLYNOM is an affordable investment in BIM for every design, build, and operations firm, thanks to its adaptability to changing market conditions, business environments, and management goals. It has the capability to scale up as businesses increase the number of orders, customers, and projects. Our unique 3D kernel makes it possible to for POLYNOM to service facilities as large as required, including plants as complex as a million or more elements. Thanks to our specially developed method of online visualization, you can manipulate and edit large 3D models in POLYNOM, eliminating the need for powerful and expensive computers. The data-centric model of engineering data management makes it possible for you to involve non-engineering staff, and to operate POLYNOM at remote sites, even over low-speed communications channels. You’ll find that the total cost of ownership of POLYNOM -- purchase, training, implementation, and technical support – is many times lower than the TCO of any other top-tier 3D CAD/BIM systems with comparable capabilities. You can customize POLYNOM to match your firm’s needs, with no need for software programmers; the library creation tool lets you supplement third-party libraries with parts you create on your own. POLYNOM exports pipeline data in PCF ISOGEN format to support the design and strength analysis of pipelines in a variety of applications. NEOLANT supplies a software package that includes the server and client ends with network licenses. The server stores projects, parts catalogs, the administration module, and the licensing service. We include a set of over 50,000 3D symbols free. To learn the system, we provide user manuals and administrator’s guide, as well as training videos. 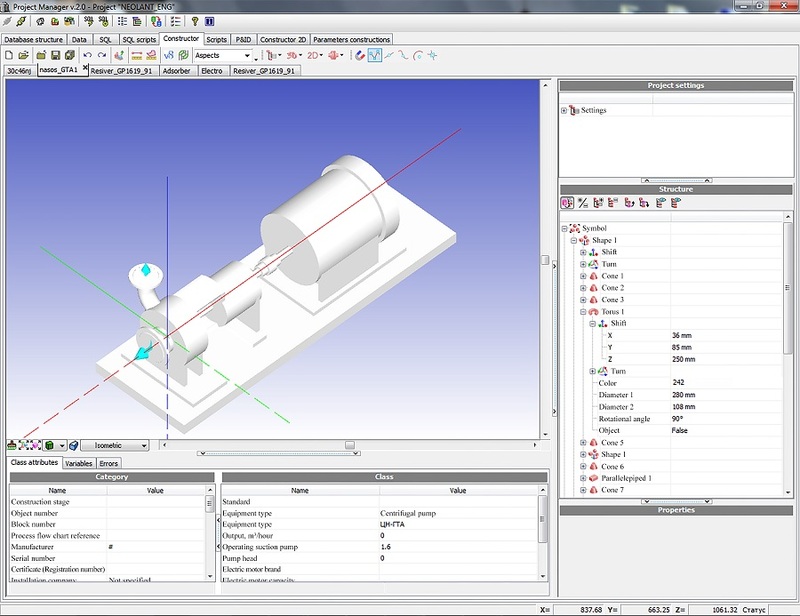 Through its integration with InterBridge, POLYNOM imports models from the most common 3D CAD and BIM formats, such as *.dgn, *.dwg, *.vue, *.rvm, *.rvs, *.dri, *.dxf, *.pid, and *.rvt. 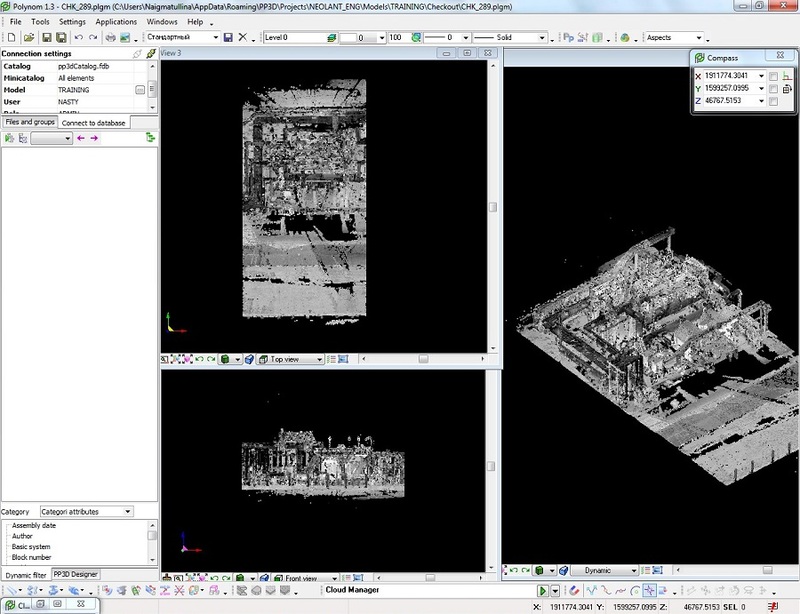 For viewing models by all stakeholders, POLYNOM uses InterBridge as its online 3D model viewer. Its compressed data format quickly transmits large amounts of data in a short time. 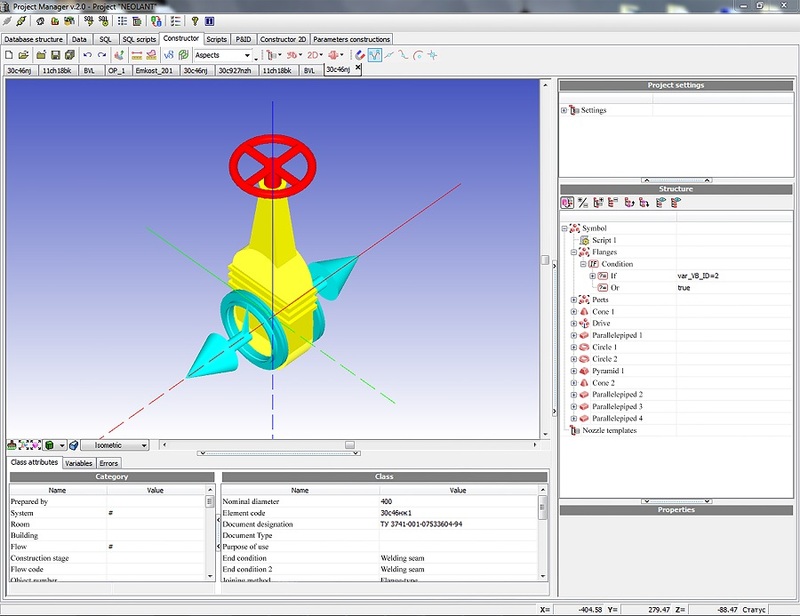 From the experience gained by NEOLANT Group, we know that the speed of designing with 3D CAD/BIM depends on availability of 3D parts from catalogs from directly inside the CAD/BIM application. To support this, we developed a standard parts catalog containing more than 50,000 3D elements for all design disciplines. Our library system is flexible enough to handle changes that you may require. We provide timely updates of 3D elements to the library’s database. POLYNOM offers you our state-of-the-art, intuitive user interface that’s user-friendly and easily-customizable. Our system provides you with easy access to the most frequently used tools and commands. As well, seamless integration with InterBridge ensures clear and rapid navigation through digital models, making it simple and efficient to use 3D models during all of the facility’s lifecycle stages. POLYNOM supports operations based on the use of a common database. Log files are maintained on all models that are uploaded, and the check-in/check-out mechanism controls user access to the data. 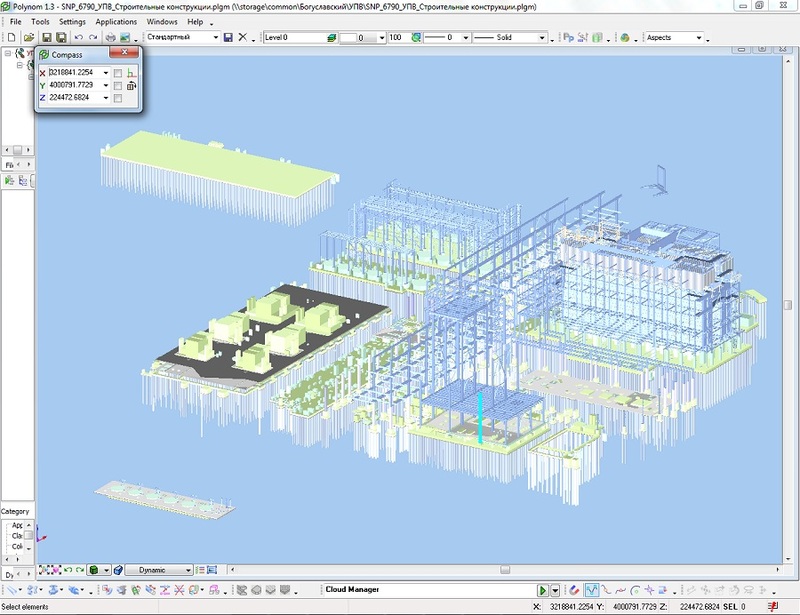 Our advanced system of collaboration allows several CAD/BIM users to work seamlessly with a single, up-to-date model. Access to shared areas in models is controlled by preset filters. This helps avoid doubling-up on work or working with out-of-date information -- eliminating a duplication of documents, which might occur otherwise. NEOLANT Group partners with leading 3D CAD/BIM vendors, such as Autodesk, Bentley Systems, Dassault Systemes, and Intergraph. We offer you our long-term expertise in implementing, updating, and integrating their products with ours. Our experience is crucial to selecting the best combination of options for your specific requirements. We ensure everything integrates well with each other. As the developer of POLYNOM, NEOLANT Group has become of one the Top 35 Russian IT firms after ten years of experience. NEOLANT develops information systems and comprehensive technical solutions in the areas of digital engineering, designing, planning, and managing complex industrial facilities during all their lifecycle stages. In addition, NEOLANT Group benefits from the practical experience we gained by being an engineering company in our own right. This means we know first-hand how to modify CAD/BIM components for IT purposes, and we test solutions in our own operations. We can provide the staff to handle system administration, implementation, and supplementing the symbol library – or else train your people to do so. NEOLANT is an engineering company with deep IT expertise and long-term experience in solving practical tasks in many industrial disciplines branches, and so we can readily deal with the tasks performed by IT experts and operators. Feel free to consult with us about implementing POLYNOM for your specific needs. We will provide you with information on types and numbers of licenses, software implementation, the services we provide, and our pricing policy.